Now that ‘Pregnant With Lillian’ appears to be over, netizens are hoping there will be a sequel – probably ‘Motherhood With Lillian’ or something of the sort. The popular news presenter became a mum for the second time last Sunday, welcoming a bouncing baby boy named Liam. And while Lillian Muli is yet to revive her social media pages after taking a hiatus earlier this month, baby Liam has already made his social media debut. The Citizen TV presenter introduced Liam to the world through an Instagram video by her best friend, Pauline Reingewertz. 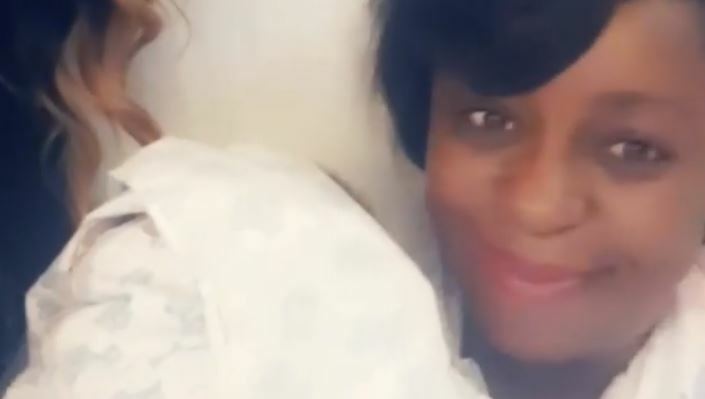 In the clip, Lillian Muli is seen cradling her tot as she smiled for the camera while still in her hospital bed. In the video, Pauline is joined by her young daughter in welcoming baby Lia to the world. According to Pauline, Liam is quite the sight to behold.